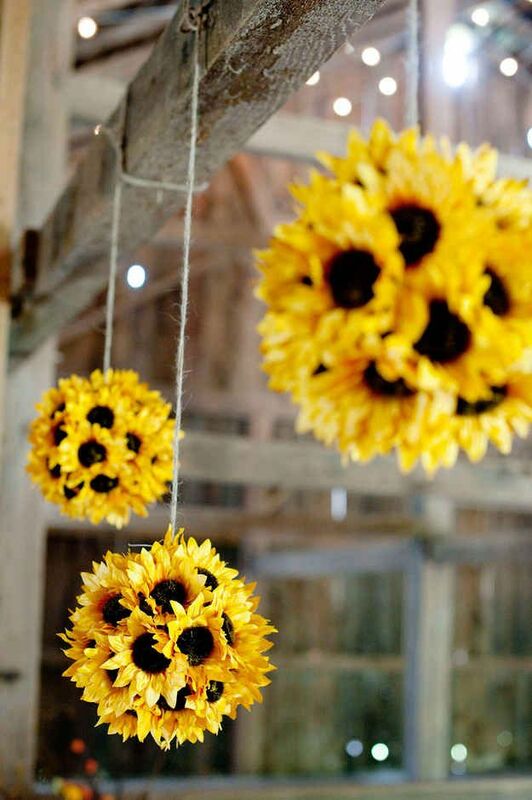 Sunflowers are cheerful, so fabulous and perfect to symbolize the happiness of the occasion: you're getting married! 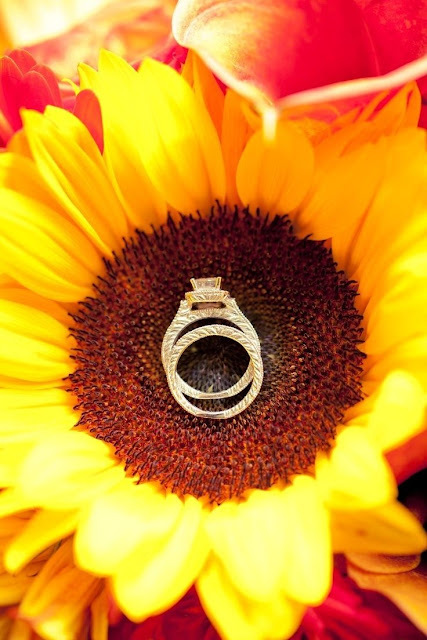 The name says it all: it is the sun flower, thus a symbol of fertility, joy and beauty. 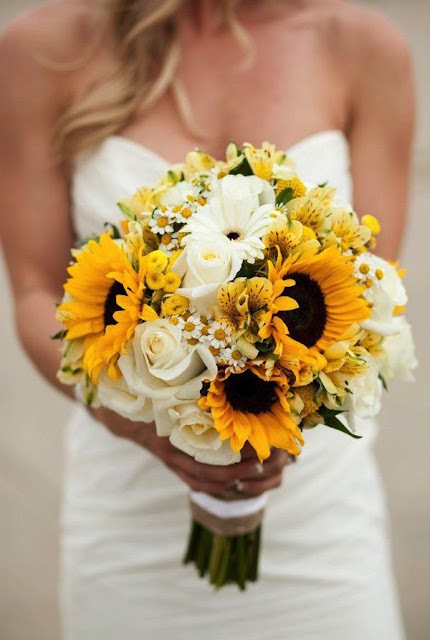 Plus, the intense yellow & black contrast makes is hard to be ignored. 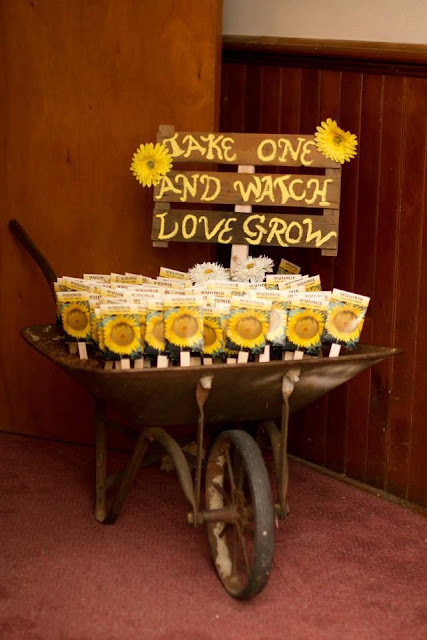 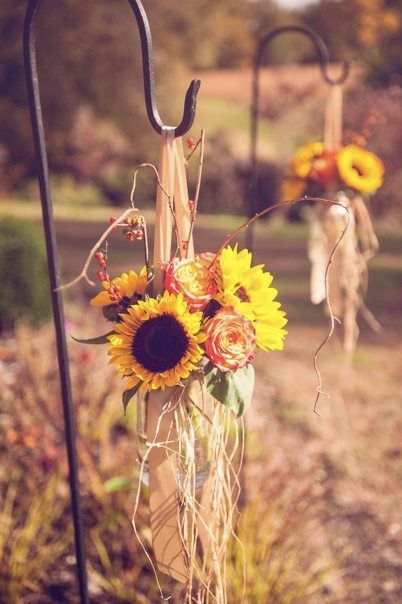 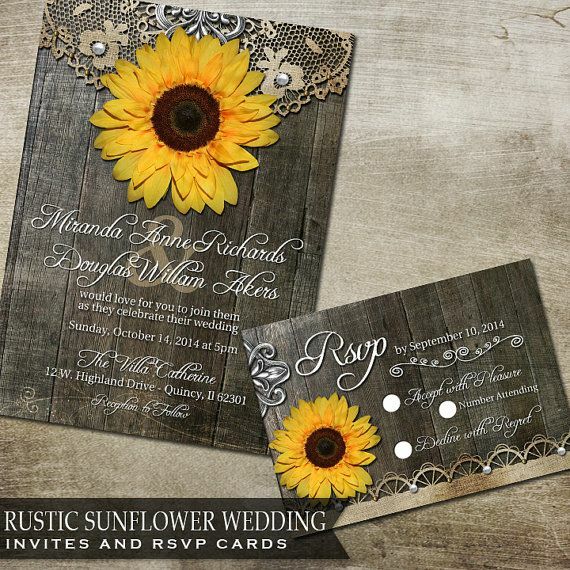 Sunflowers work great for a summer wedding, specifically one with a rustic theme. 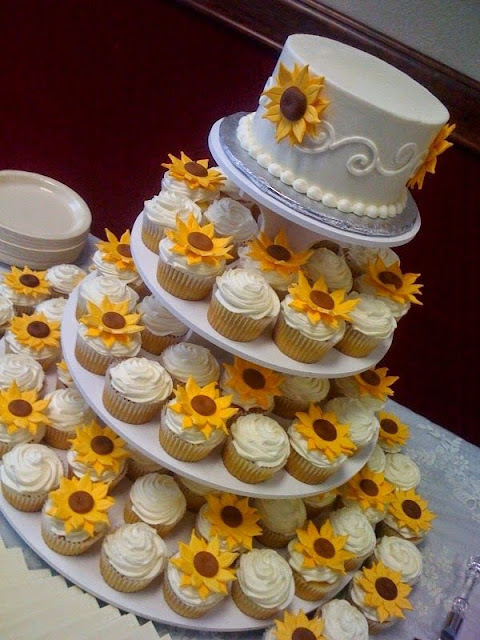 Here a few ideas on how to incorporate sunflowers in your wedding.